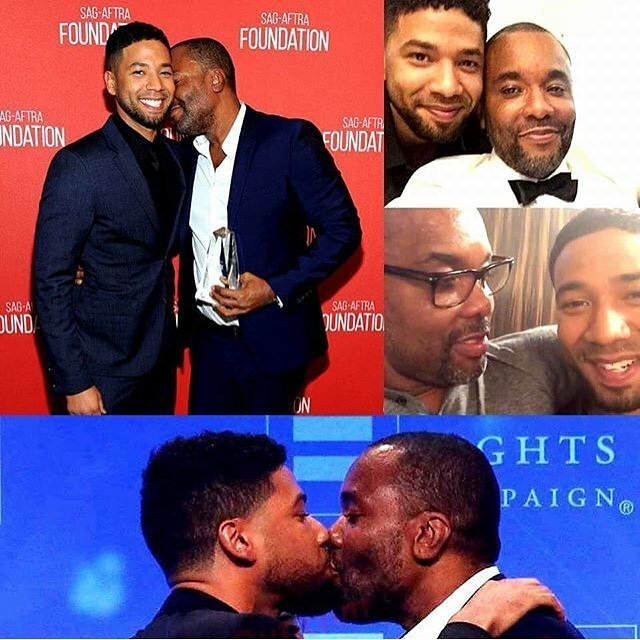 Reports have it that Empire creator, Lee Daniels and Star of the show, Jussie Smollet who acts the part of Jamal are now dating. This rumor was sparked after a scene at the Human Rights Campaign 2016 Los Angeles Gala Dinner. The cast of Empire were being honored and actor Jussie Smollett walked over to producer Lee Daniels, and kissed him on the mouth. Lee and Jussie were “dating” in a very non-exclusive manner. But after that kiss, the rumors appear to have been confirmed.